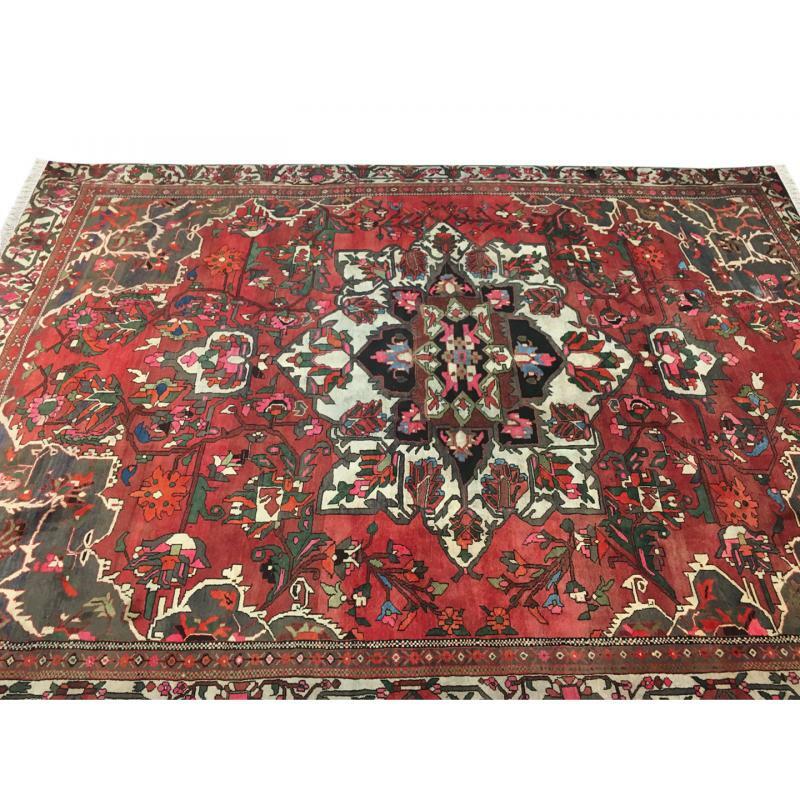 A Persian Bakhtiar rug, handmade and hand loomed with fine quality of wool to add a sophisticated finish to stylish interiors. Its timeless Tribal Medallion design and subtle cream border, red, blue color will add elegance to both traditional and country schemes. 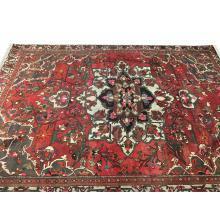 This rug is sized at 10' x13'3" ft. and is quality crafted with the superior durability and irresistible softness.